At Eskenzi PR, one activity that we excel at, and thankfully it’s guaranteed to drive coverage for our clients, is rapid responses. Take a read of our recent ‘Goodbye Internet Explorer’ blog if you don’t believe me. 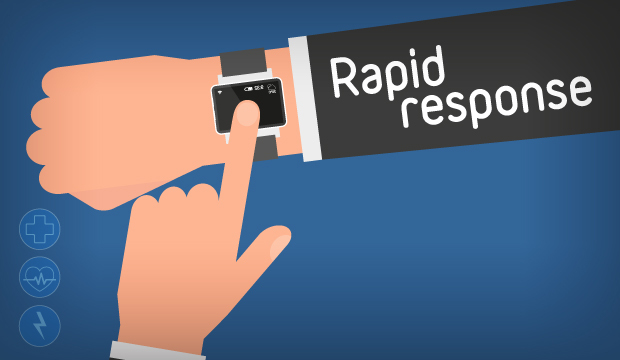 Timing: Rapid responses are just that, rapid and respond to a breaking news story. When I first started working in this sector, too many moons ago, cybersecurity stories were like gold dust and I was one of a handful of PRs that specialised in the subject. Today, unfortunately, there’s typically a plethora of vulnerabilities discovered or breaches disclosed to pick from. The secret is picking the right story, for the right client to offer valuable insights and credible advice. The clincher is doing it before the competition. Teamwork: In a hospital or other healthcare facility, it’s almost guaranteed that there will be a ‘Rapid Response’ team – people who bring their expertise to the bedside when it’s needed most as quickly as possible. It’s the same for our clients. Internally they identify their team of industry experts who we send our alerts. They’ll then quickly look at what has happened and offer a response – if appropriate. Content: Which brings me nicely onto our next tip – it has to be newsworthy and credible. There’s no point regurgitating what’s already known, similarly we don’t want our clients speculating on something they know nothing about – there is such a thing as bad PR and we work hard to make sure our clients aren’t on the receiving end. We encourage clients to offer their particular insight into what’s happened – or could happen in the case of a vulnerability, that’s tied with strong advice to help organisations keep themselves, and their virtual assets, out of the hackers clutches. It’s also worth mentioning that, when it comes to news, reporters aren’t looking for essays – they need succinct sound bites. If they want an essay on the subject for a follow up feature they’ll ask for it – and often do. Delivery: A key piece of the puzzle is getting these insights across to the right reporters as quickly as possible – in a way that they can use. We know reporters do not want us to call them and try to dictate comment over the phone – we know their email address and we’re not afraid to use them! Relationships: This is a 2-way street – we work hard to know which reporters cover which type of stories and the deadlines that they’re working to so that we only send relevant material. We don’t always get it right – we’re enthusiastic humans after all, but 99.9% of the time we’re on the money. Equally, as Eskenzi is valued as a reliable source of decent content by those who report in the security and technology space, many journalists will reach out to us direct knowing they’re guaranteed to get great quotes from our array of IT security experts to use in their stories.